No, this isn’t a how-to lesson on insect fumigation and getting rid of ant hills. Instead, this is a post about how I learned to help my adopted children talk to me about their early childhood trauma and abuse. After 8 rages in 9 days, we were at our wits end on how to get to the bottom of things and start progressing. In fact, this last bout of rages made us feel like we were very much headed in the wrong direction. A few weeks ago, those closest to our daughter and had seen her behaviors in action prior to coming here, were surprised at how well she was doing. While she was in foster care she would have rages almost daily, resulting in hospitalizations, police calls, and multiple foster placements. Here we were feeling pretty good about ourselves in thinking that we might have crossed a bridge and were on the trail to healing. But then the big “P” word of teenagehood reared its ugly head and we were experiencing what those foster parents had experienced. Between expletive-laced rants to threats of violence to property destruction we weren’t sure how to get through it. We had used love & logic methods. We had used a “safe zone” for her to go and think and write about her feelings. We had used removal of benefits. We tried all of the methods that our vast experience with kids had come with, but to no avail. We had used every tool her therapist could offer. I needed some sign that we were going to be able to move back into a positive direction, not only for our daughter’s sake but for our other children as well. That’s when I decided to contact my good friend Adam Ebberts. I knew that he had worked with juveniles for a number of years and had hoped that he would have some insight to share. I can’t thank him enough for that hour-long phone call. He gave me an analogy that he said he had used in the past to help young people learn how to deal with trauma that is affecting their lives. Ant hills in Oklahoma get to be very large and produce large red ants that bite. Not like the little driveway ant hills that we deal with here in Idaho. In fact, a little research on ant hills revealed that they can grow taller than an average human and the Queen of a colony can produce millions of babies in her lifetime. Adam related early childhood trauma to the creation of ant hill. 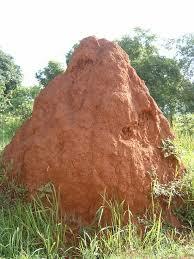 And when most people see the anthill they focus on the ants because that is what they see. The ants are the actions related to the trauma (i.e. rages, extreme sorrow, fire starting, sexual promiscuity, etc.). They are ugly and mean and you tend to try to squish them to get rid of them. While you are doing that, you end up getting bit a few times while you may squish only a few ants. As a reaction to protect the ant hill, more ants just come out. Sometimes you can try to pour hot liquids down the hole or you might try to take a shovel to the ant hill to “remove” it. And in the midst of doing that you will kill some more ants (trauma related actions) and the ants might even become dormant for a period. However, in time a new ant hill will form and you will be right back to where you started. This was where we were. We had managed the behaviors, contained the ants for our daughter. But, as we learned, the only way to truly get rid of an ant hill is to remove the Queen. She is the source of the ant population, the behaviors. She is the root cause of it all. What you have to be prepared for is that by going through the trouble of digging to get to the Queen you may very well get bitten by the ants that are trying to protect her, but if you can find the Queen (source of the trauma) and deal with her, you will be able to remove the ant hill altogether. Adam had shared a few other tactics that he had used over time but this one resonated with me. So I decided to share the analogy with our daughter. Through the process of dealing with her behaviors, we had learned what the Queen was, the root causes of her behavior. And honestly, it was nothing that we expected. It wasn’t in her case file, her siblings didn’t know about it, and she had never revealed it throughout the many sessions she had in counseling prior to coming home. After she was calm and we could talk, I asked her to write a letter to her Queens (sources of trauma) about how she felt. Then as we talked about what she wrote, I shared the ant hill analogy with her and I was able to help her realize that she needed to be willing to continue to share and bring that Queen to the surface in order for us to be able to work through the process of eliminating the painful ants that kept hurting her and the rest of the family. As she would start to open up about things her face would show signs of discomfort in being vulnerable and I simply said “don’t let your Queen go back in the hill – we need to keep them at the surface”. And each time she would continue to confide in me as we discussed those very deep hurts in her life. While I don’t presume to think that we have removed all of the biting ants I can say that she seems to carry a different countenance since that discussion. We are grateful that after years of holding that pain deep inside, she felt safe enough to reveal her Queen to us. She is VERY brave and courageous and we remind her of that daily. We will continue to work with her to make sure that the ant hill doesn’t have a chance to rebuild itself and she can find comfort in who she is as a beautiful daughter with an incredible future ahead of her. I am also grateful for friends like Adam and Heavenly guidance as we worked through a very trying period. Good job on the write up…very easy to read and so thoughtful of you to share this experience on you blog. Thank you Marie. It was a very trying period that we hope to be healing from. This was a GREAT read. We are just now in the process of getting matched with kiddos but I have a feeling this will be some very useful information in our near future. Thank you for sharing! So exciting! Congrats on your match ❤️❤️ If we can help in any way, please message us. Best wishes for a smooth transition!! I am not! But all of those sounds like very good resources. We are going through our state foster care system. (But not fostering to adopt). The kiddos we encounter already have all parental rights terminated and are looking for their forever homes. I’ll check those sites out. Thanks! Ben, thank you for sharing this very valuable info. I have a dear friend with a young man that fits right into your senario. He also has a queen or two that he keeps hidden tight. I can’t wait to share this write up with her. You and Bridget are amazing. Thank you. Brenda – you are most welcome. But we aren’t amazing. We are just battle tested. 🙂 Anything we can do to help both adoptive parents as well as adopted kids to find some happiness in the midst of the struggles we are open to share. Please let us know how that ends up going and also if there is anything more we can do to be of support. Brenda — I miss you! Thank you for your sweet comments. I echo what Ben said…please share our contact info with your friend. Adoption is sometimes a lonely and hard road and if we can help in any way, we would LOVE to. We should get together soon — perhaps for a walk? LOVE YOU!